A huge congratulations out to my partner’s old friend Andrew O’Keefe and his partner Tuuli in achieving their crowd funding goal on Pozible.com. Along with Steve Jablonkski they are producing a new feature film adaptation of Dostoyevsky’s Crime and Punishment. They’re doing it with the help of the film school of Melbourne University (where Andrew lectures) and, needless to say, the whole production is operating on the tightest of budgets and an army of volunteers. I’ve been helping, albeit in a very small way, through setting up and hosting the website crimeandpunishment.com.au – although in the end we decided the best solution would be a simple wordpress theme, so my involvement has been minimal since then. For the last couple of months Andrew, Tuuli and Steve have done an amazing job on social media, especially Facebook, in drumming up support for the movie as the January 2nd Pozible deadline approached – these guys can really teach anyone I’ve worked with in media and marketing a thing or two, I’ve been massively impressed. They are filming the movie this month in and around Melbourne – which on its own should be an interesting twist on the original – which is set in a cold, damp St. Petersburg. As I write this Melbourne is bracing itself for heatwave with temperatures set to hit 40+ degrees today and for the next few days, so if they were looking for a different backdrop then they have certainly got it. I can’t wait to see how it turns out and with any luck I’ll get a chance to be an extra in the movie.. just need to find some precious time to make it happen. If you’re interested in finding out about the movie, or even becoming an extra yourself, then check out the website or the Facebook page. Movember.com – 2012 Campaign all set to mo..
We went live with the new Movember.com website last week, after a heroic few months development and UAT. Since I started at IE I’ve been constantly amazed at just what a big site and operation Movember is. The campaign doubles in size each year with 2012 fully operational in about 20 countries and set to be massive back home in the UK – and despite a presidential election should break all records in the States too. Around the world hundreds of thousands are expected to take part, generating several million individual donations: simply massive. And following favourit I find myself back for a stint in agency-land, working for a company called IE Agency.. (the ‘IE’ I’m reliably informed stands for ‘Internet Experience’) project managing development on Movember.com. For those of you that don’t know they’re people behind all those moustaches sported by hipsters throughout the month of November. I think we’ve all come across Movember at some stage – certainly living in London you couldn’t get away from it, I even toyed with taking part myself.. but never really had the cojones, so to speak. But it was quite a surprise to find out what a massive operation it is, especially on the web. The project I’m managing never really stops, just ramps ups hugely in the run up (ie. now!) to the launch of the campaign (2012 starts in September). I have to say, so far, I’m enjoying it. It feels good to part of something clearly destined to become (if not already) an Aussie icon, and the chaps at IE are a lovely bunch so hopefully I will be sticking around for a while longer.. and, of course, I’ll post up pictures of the ridiculous mo I’ll be growing later in the year.. no excuses this time.. I was sad to leave Agility Interactive a couple of months ago. At the time the company faced an uncertain future following their new parent company’s decision to strip it and sell it on. I had to leave – contracts were not being extended, but the few full-timers that remained faced a nail-biting few weeks while theirs, and the future of Favourit.com (the product we had all worked on) future was decided. I don’t know the details but the company, now simply called Favourit.com, has new owners, direction, and at long last the password protection has been lifted and the site opened up to the public for the first time. 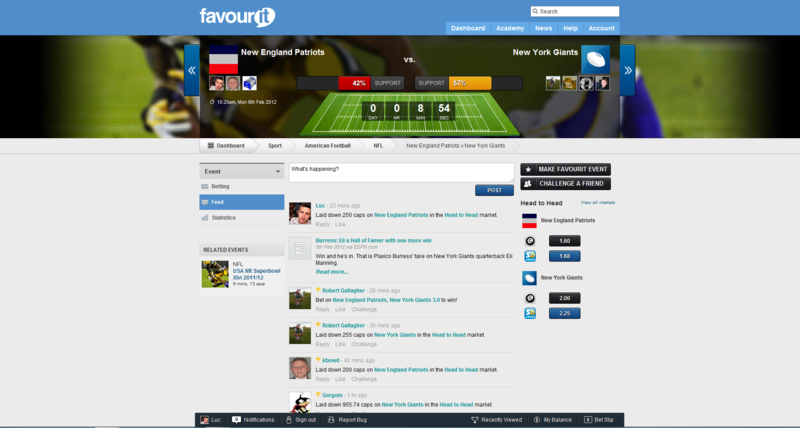 Favourit.com is a really interesting proposition and (in my opinion) has the potential to be a really big online success story. I just put live a long overdue update to my sister’s company website boldbeanies.com. She makes and sells cotton beanies designed for people that have lost their hair, it’s a small and relatively successful business run from her home in North Wales, but until now has been severely held back by its static and out-of-date website. Having finally got our acts together to do something about this my sister and I have made a new version – much the same visual design (although I think a facelift is definitely on the cards soon) but now sporting all the functionality she needs to grow her business online. Bold Beanies now has a CMS, Social and e-Commerce functionality along with enhancements to SEO and Analytics. I’m not much of a developer so I can’t claim this is exactly the Rolls Royce of solutions, but it does make good use of the ever impressive WordPress to provide the basic CMS and the WP-Ecommerce plugin to handle the product side of things – which is much less impressive, but for the most part works. It was pretty straightforward to put together, although I do wonder how long it will be before the limited back-office becomes an issue, and there are some usability issues (mostly around the shopping plugin experience) that I’d like to tackle at some point. But it must be a about 3 and a half times better than than the old site! so take a look: www.boldbeanies.com and while you’re there why not buy a beanie? I am a bit sad that Deal or No Deal Live is no longer with us, of course nothing stays live forever, but this one never really fulfilled its potential. It’s been taken down now, although I wouldn’t be surprised if the format itself is resurrected someday. Before leaving Endemol however I did take some footage of it running, which i’ve posted here for posterity.. no sound for some reason, sorry about that, although I have to say the the music was a bit annoying..
Deal Or No Deal Live Social Game from Luc Houselander on Vimeo. 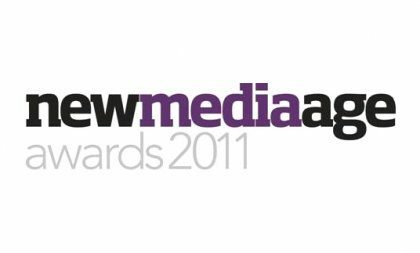 The very nice chaps at Channel 4 put the Million Pound Drop Play-along game up for three awards earlier this year and last Thursday it won the New Media Age award for Entertainment, meaning we have scored some kind of unholy awards trifecta in this area. To be honest I would have been happy with any one of these gongs (the others being a BAFTA and Broadcast Magazine award), but to pick up all three is obviously very cool indeed. The good news for anyone that reads this occasional blog (hi mum!) is that this should be the last time you read about TMPD winning anything on here.. should it be entered in for anything next year, then I, like you dear reader, shall be only an avid spectator. Obviously I’m very chuffed to have been part of something that has resonated so well with the digital industry back in Blighty, the challenge now is to do the same here in Australia, more on this soon I hope! Million Pound Drop Play-along game wins Broadcast Digital Award. The Million Pound Drop Live play-along game has picked up another award, this time from the UK’s leading TV biz magazine Broadcast’s Digital Awards for ‘Best use of Digital Technology’. It’s a shame I wasn’t there this time – it’s slightly out of my way these days.. but great to see the chaps from Endemol, Monterosa and Channel 4 were there in force, and black tie, to scoop this one up, well done everybody! Last Sunday was my last night in the UK before setting off to my new home in Australia, so it’s hard to imagine a better send off than the one we had courtesy of BAFTA at the 2011 Television Craft awards. 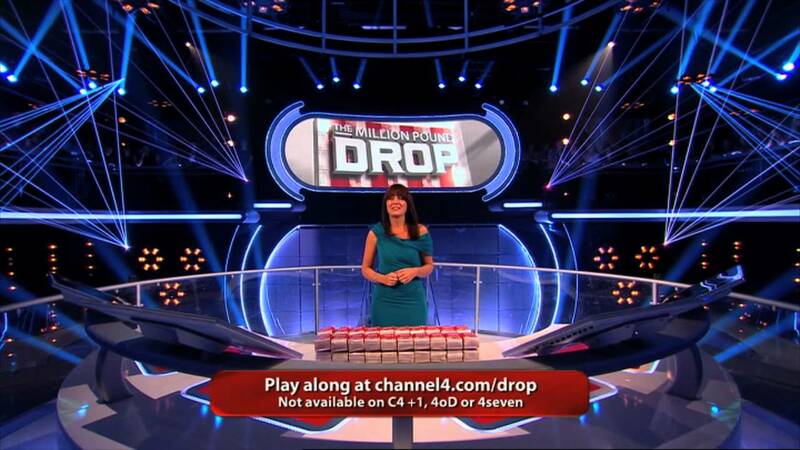 Channel 4 had put forward the Play-along game from the Million Pound Drop Live for the Digital Creativity award, and against some stiff competition (mostly from other Channel 4 shows!) ours won out. 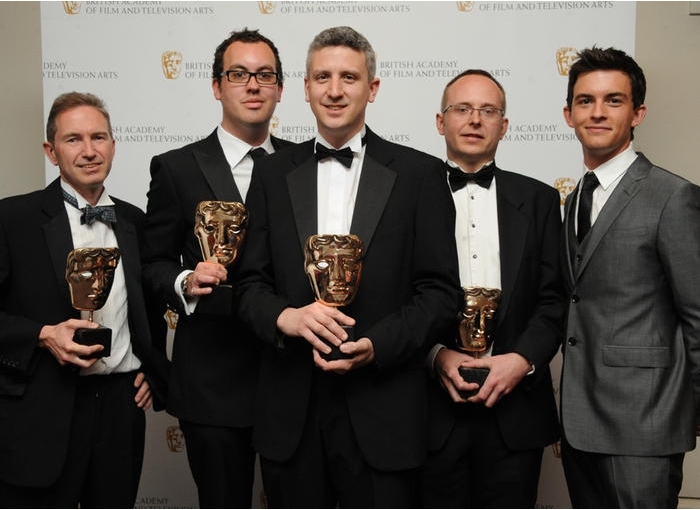 Of the four of us listed on the award there was myself and Nick Hall representing Endemol UK, Simon Brickle from Monterosa and Jody Smith, the cross-platform comissionner from Channel 4 responsible for the show. It was a great night both personally and for the team behind the show and winning the award the was as unexpected as it was welcome. It also provided me some interesting problems carrying the award back the following day.. it weighs 4kg and raised a few eyebrows at the security at Heathrow!Hopefully awarding The Million Pound Drop the BAFTA is a recognition that interactivity can be a successful and central part of new TV formats and hopefully this will encourage more shows like this to be developed and commissioned in future.